We know you're positively giddy with excitement to get at this OlivePad rebadge and ViewSonic is today fanning those flames of desire with a little bit of pre-IFA PR. 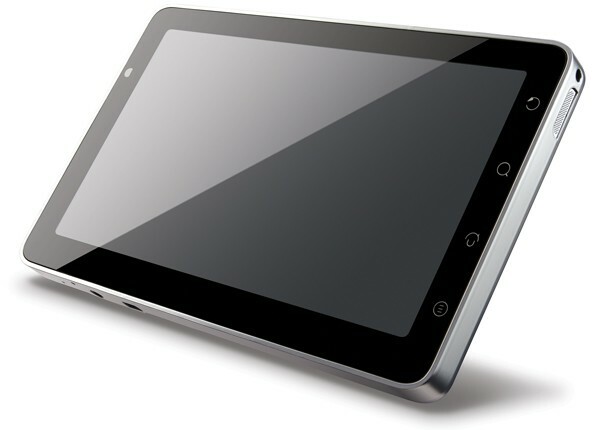 Made official today, the 7-inch ViewPad 7 will try to lure in Android lovers with its tasty Froyo parfait, underpinned by hardware that includes front- and back-facing cameras, 3G for both phone and data transmissions, and a full-sized SIM slot. It doesn't seem to have an earpiece so we're unwilling to grant it the claim that it offers "full" phone functionality, but we'd be more worried about the unlisted internal specs on this thing -- the OlivePad makes do with a 600MHz ARM CPU and an underwhelming 800 x 480 resolution, neither of which should be making the iPad quake in its well padded boots. Price is expected to be "no more than £350" ($543) in the UK, though all we know about availability is that review units will start showing up in October. Ah well, the wait for a quality iPad alternative continues.